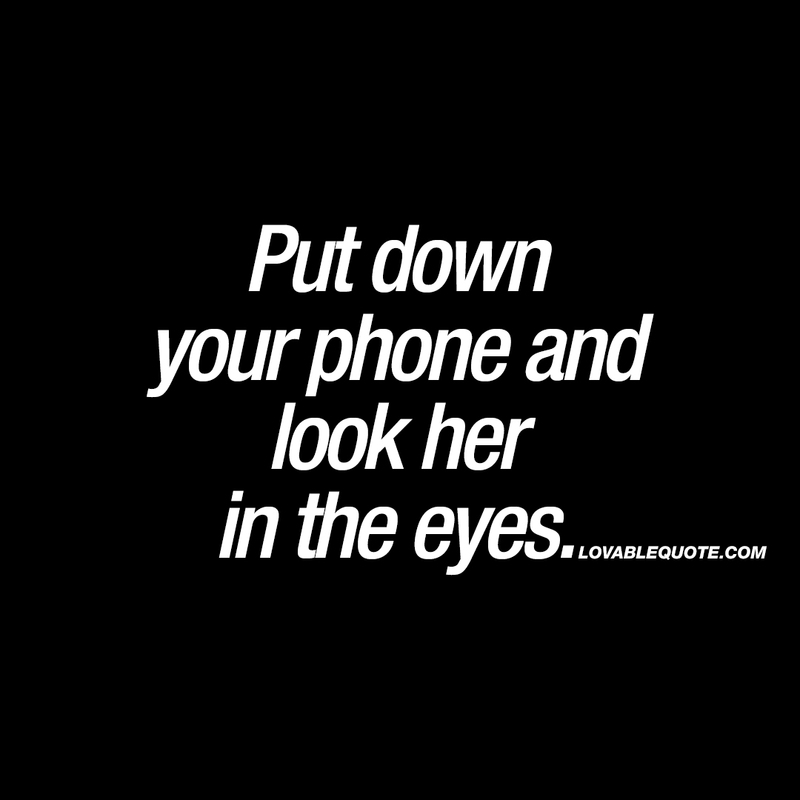 Put down your phone and look her in the eyes. All those moments you have together with her are precious. Each and every single moment won’t come back after it’s gone. Be in the moment, stop looking at your phone and look her in the eyes. This quote for him is copyright © Lovable Quote 2017.